Today is my 40th anniversary of ordination to the priesthood! As today has been approaching, my thoughts and memories have been drawn not only to the actual ordination day but also to the many moments of priesthood since then. Half of my priesthood has been in diocesan administration, and that half had my youth as well. St. Pius V in South Jamaica Queens was completely unknown to me when I received my diaconal assignment. It was, and continues to be, one of the poorest parishes in the diocese in terms of fiscal resources, but it was a rich place for a young deacon and priest to learn how to minister to the needs of people. The neighborhood was 50% black, 20% Portuguese, 20% Spanish speaking, and 10% other including Italian, Irish, German, and you name it. I celebrated Mass in Spanish and Italian and, eventually, even in Portuguese. I was ordained a priest there one year after I arrived and stayed for another three and a half years. I turned 30 years of age two days after I started in the Office of Catholic Education. I was a part-time student for a couple of years in addition to my 9am to sometimes 10pm Monday through Friday work week and I offered Mass at different churches or convents on weekdays and on Sundays at St. Edmund and later, when I was afraid I was getting out of practice in Spanish, St. Martin of Tours church here in Brooklyn. Oh the places I went and the people I met during my 12 years in the Office and the privilege of living with Bishop Francis Mugavero (a great teacher) and later Bishop Thomas Daily (from whom I also learned so much). In 1993, Bishop Daily asked me to be the director of the Seventh Diocesan Synod a task which occupied my time until the Synod was completed in January 1997. I then became the Director of the Immaculate Conception Center in Douglaston, a building that had been Cathedral College, from which I had graduated, and a building that I literally loved. 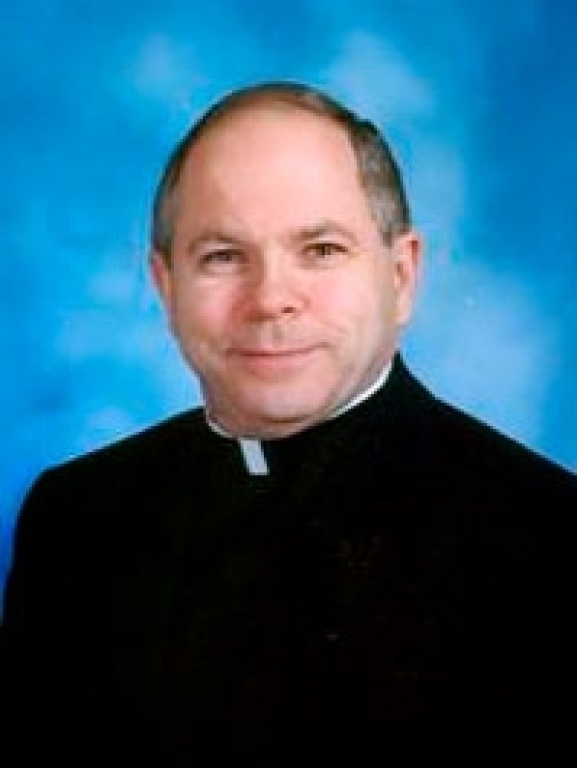 The sexual abuse crisis claimed the pastor of St. Kevin in Flushing and Msgr. D.J. Finnerty was named pastor there leaving St. Sebastian open and I asked the bishop if I could apply and he said OK but no promises; I got the parish! After 12 years (have to move after 12) there I asked the Bishop, now Bishop DiMarzio to come here. Can you believe I start my 5th year here on February 1? For those 20 years in diocesan administration I have so many great memories, and funny one as well, but I longed to be a parish priest again. The priest is with people at birth and baptism, and at wakes and funerals. He helps prepare couples for marriage and many times, helps them with annulments which recognize that there was never a sacramental marriage there in the first place. Pope Francis, the first Jesuit Pope, in the line of St. Ignatius teaches that the priest accompanies people on their life journey and for 40 years it has been my deep honor to do that in 3 parishes and in others as well. I’ve said it before but it still remains true… not a single unhappy day! I recall not being a deacon even, and saying a few words at my father’s funeral but at my mother’s I recall preaching and offering Words of Remembrance and thanking God for the gift of priesthood. I do that every day! Today is seventy days before Easter, Septuagesima Sunday in the days before the Second Vatican Council. Have you started to plan how you will make this the “Best Lent Ever”? My Mother’s moon is here this Wednesday. Friday is the Feast of the Presentation of the Lord, traditionally called Candlemas Day. Every Catholic home should have two blessed candles to be used if a priest or Eucharistic Minister is called to bring Holy Communion to the sick. Candle sets will be available for sale in the sacristy before Mass on Friday; the offering is $5. Friday is also the First Friday of February and we will have all-day Eucharistic Adoration concluding at 5pm with benediction. Saturday is the First Saturday of the month and at the 12Noon Mass we will offer the Anointing of the Sick to those who wish to receive it. 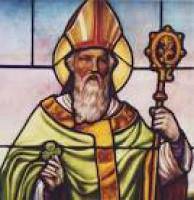 It is also the feast of St. Blaise and we will bless throats after all the Masses. There are Masses available in February; it is a tradition in our Church to offer Masses for our deceased relatives and friends.